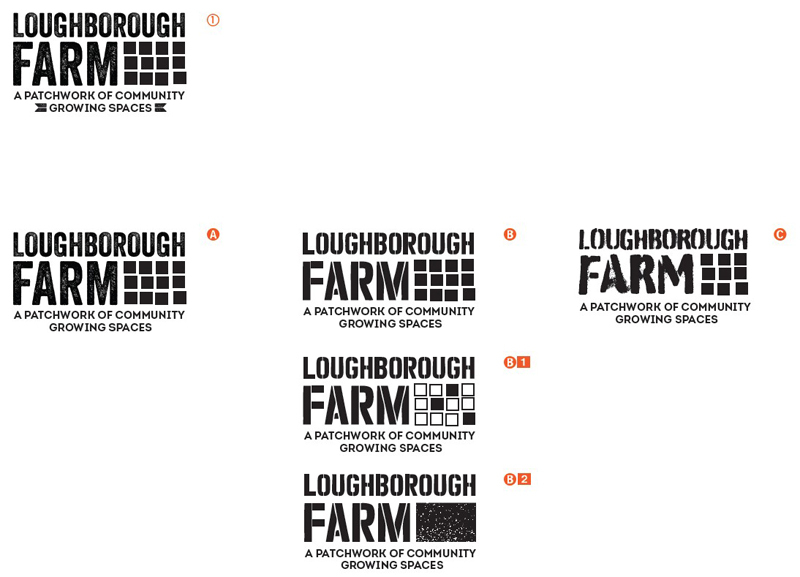 Loughborough Junction Action group – a community project local to me – sent out a request for some volunteer design work last year. 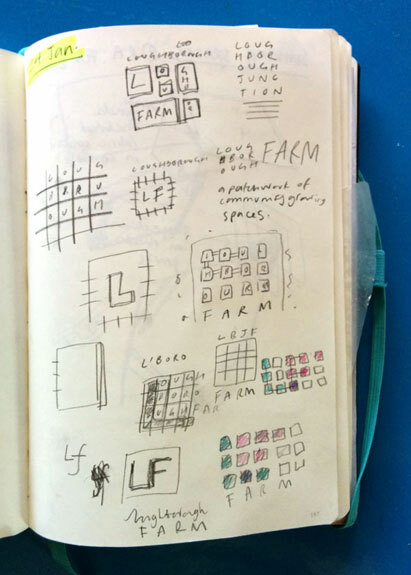 They were looking for someone to create a visual identity that could be used online, on printed leaflets and with a view to eventually being stencilled on produce boxes. 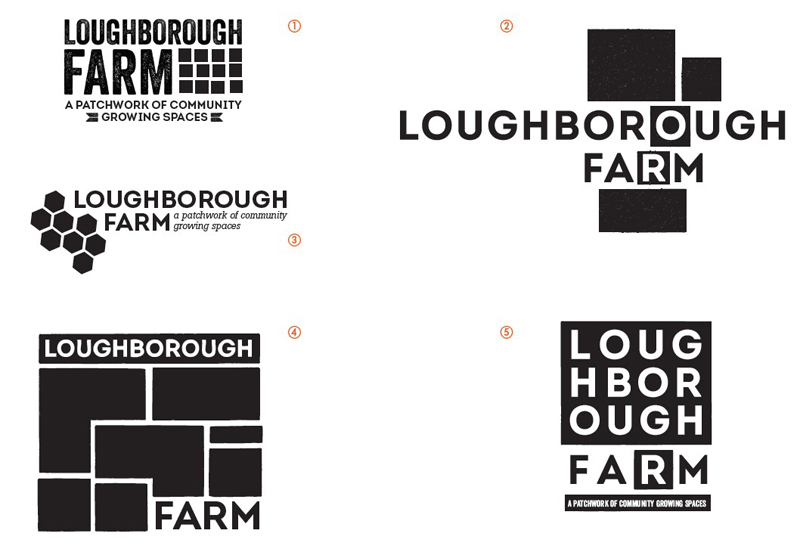 No.3 (below) was too literal a ‘patchwork’, the ambiguity of no.4 that could either be read as patches of earth, or a crowded jumble of tower blocks – Loughborough Junction is a heavily built up urban environment – No.1 was the direction chosen by the LJAG board, losing the label ends around the strapline. … – it was returned to, and worked up in a single colour. The final artwork was supplied suitable for print and online, so I look foreword to seeing it in use! 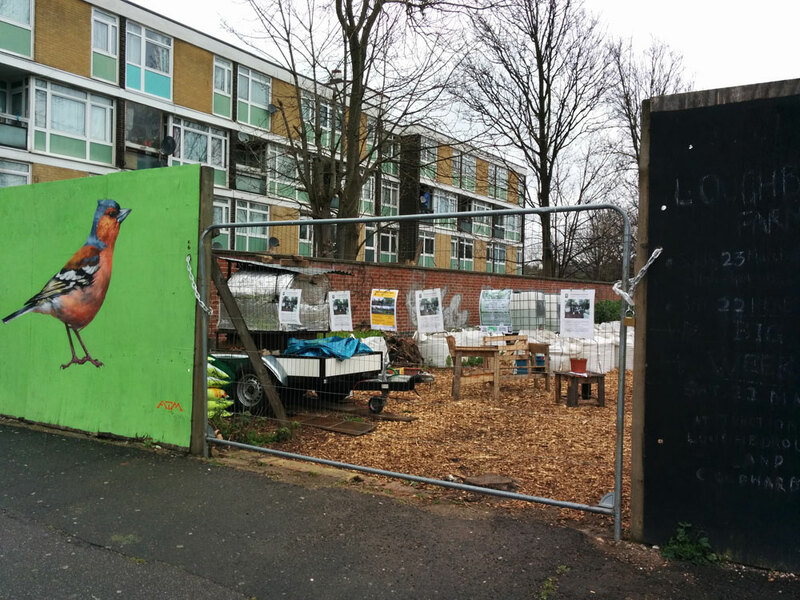 Sited on Loughborough Road opposite Wyck Gardens, Loughborough Farm is hard to miss with a giant chaffinch painted by artist Mark Wydler on the gates! 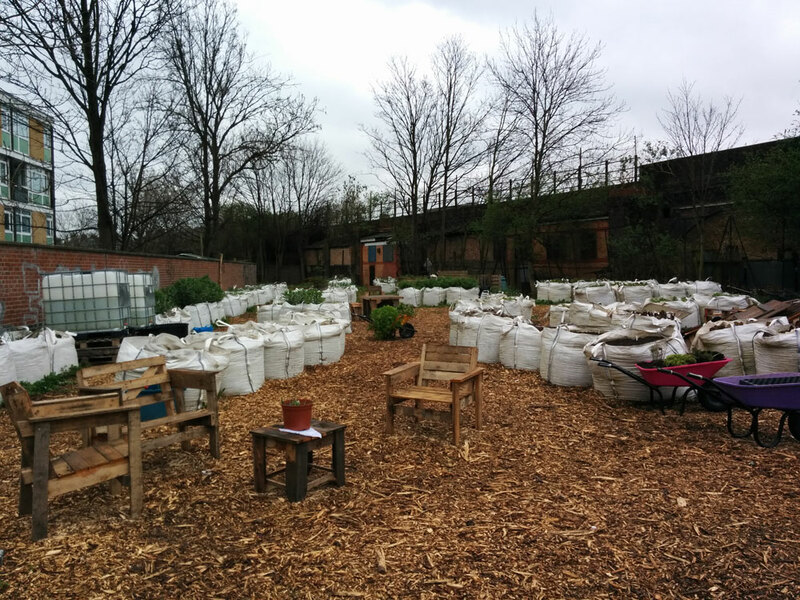 Check the blackboard sited at the entrance, or see LJAG events’ listing for details of Loughborough farm planting sessions, gardening training and volunteering slots. The farm is open every Tuesday and Saturday afternoon between 1-3pm.